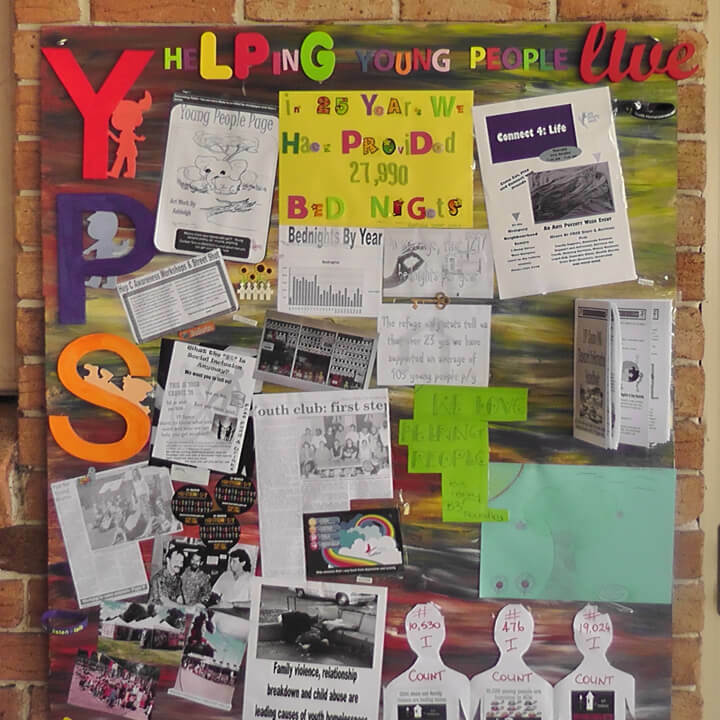 YPS provides and manages safe and affordable housing responses to young people across our target regions. YP SPACE MNC Inc (YPS) value and celebrate cultural diversity within communities. We believe that all children/young people have the right to safe and appropriate housing, support and access to community participation and social inclusion. All aspects of YPS are underpinned by a genuine commitment to the principles of child safety and protection, participation, access, equity and collaborative action. YPS models honesty, respect and genuine concern for children/young people. YPS believes that children/young people are diverse and change can often be a life-long journey. YPS recognises that disadvantaged and marginalized children/young people exploring their options do so in an environment that can disadvantage, discriminate against and marginalise them both directly and indirectly. YPS actively works towards creating environments and opportunities that empower children/young people to live with pride in their lives as valued and equal members of their communities. YPS is based on an innovative and dynamic service delivery model. YPS works with children/young people in accessible, safe and culturally appropriate ways to provide a suite of accommodation options, reduce isolation, reconnect with family, share information, develop support networks and enhance children/young peoples’ participation and connection to their cultures and other communities. YPS works to enhance the capacity of communities to understand and support children/young people in a safe and respectful way, thus increasing children/young peoples’ opportunities for full social inclusion. YPS advocates for the rights of children/young people to access a variety of services and support appropriate to their needs. Ensure young people receive culturally safe, trauma informed & services responsive to their individual needs. Through participation in relevant networks and undertaking community education and training, YPS challenges negative stereotypes and misconceptions, which may make it harder for children/young people to get the support that they need. YPS is committed to the development of sustainable networks across sectors. YPS values the contribution, opinion and experiences of not only our children/young people, but of all our community and the practice of open and honest communication. We aim to achieve a shared understanding and direction through equal access to information and an active commitment to consensus where possible. We employ supportive processes that encourage learning and development for all members of the organisation. We are committed to the positive resolution of conflict to enable effective organisational growth and change. In these ways, YPS aims to make a significant difference to the lives of children/young people and in turn their communities. We will operate ethically, transparently and accountably in all facets of our service. We acknowledge the challenge and responsibility of this opportunity and welcome the participation of all communities who share our commitment. The YPS Team is committed to responding to & ending youth homelessness is our region. The majority of our Team have been with YPS for over 5 years & all our team have highly developed skills, expertise & connections in our community. Our Board of Governance is made up of dedicated professional Community members who hold the skills & expertise our agencies needs to remain a sustainable community business now & into the future. Our Board members skills sets go across the Finance, Education/ Employment, Community, Legal, Housing, Business and Cultural sectors -which ensures the Governance of our agency is Best Practice and champions the growth of our agency to benefit the children/young people of our community. 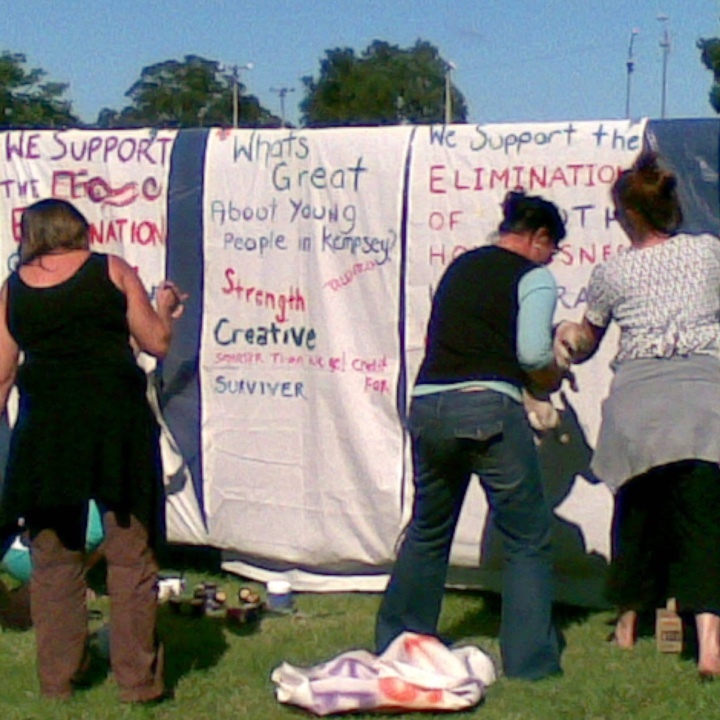 YPS, then known as Kempsey Youth Refuge, first came into existence in October 1985- after many years of lobbying the State Government by local community members, other community agencies and key government workers. Up until this time children/young people who were experiencing homelessness in the Kempsey/ Macleay area had to go out of their community (most of the time over 100’s of kilometres away) to receive the housing & support they required. Initially YPS was funded only to provide crisis accommodation- for 5 young people at any one time- with no ability to provide Outreach or Early Intervention/ Prevention services to other children/young people experiencing homelessness in the area. While crisis accommodation response was an essential service it meant there were significant gaps in service provision and many children/young people missed out on housing & support due to the services inability to meet demand. YPS has grown, developed and built our capacity over the last 33 years- across all levels of the agency and in response to the changing needs of our children/young people, community and political landscape. We’ve had a few name changes over the years (Kempsey Youth Refuge, Macleay Youth Accommodation Service & YP SPACE MNC) but our mission, philosophy and commitment to children/young people has never changed- it is the foundation of all that we do. We’ve grown from a crisis focused agency providing only one type of homelessness response to a multi-faceted agency that provides a range of responses to children/young people experiencing homelessness and marginalisation. In the last decade YPS has gone from strength to strength, cementing ourselves as a Best Practice agency in the youth sector, continuing our National Community Housing Registration’, providing employment opportunities to children/young people through our Social Enterprise arm, creating innovation in our responses to children/young people & building the resources and capacity of our agency and community to respond to the changing needs of the children/young people we support. While we have remained focused on the essential crisis responses children/young people require we have balanced this with early intervention, prevention, community development/education and social inclusion opportunities for our youth community. Our future will see continued growth and development of our services and systems, consolidation and strength in our existing service responses and foundations and challenges as we move into the Statutory Out-of-Home Care service system and build our Youth Social Enterprise initiatives. YPS would like to thank our many Partners & Supporters for their commitment to working with YPS to address child & youth homelessness across our region. Our Partners & Supporters come from all parts of our community- from Non-government agencies, local Businesses, individual community members & key advocacy groups. The work completed through these partnerships & support arrangements assists YPS to achieve outcomes for & with our children & young people.